If you’re returning to school this month, please bring your backpack or briefcase to worship on Sunday, August 26th. We will have a backpack blessing and give you a small gift to put into your backpack for the year. If you are 3 years old or going into 3rd grade, we will also have a Bible to give to you! 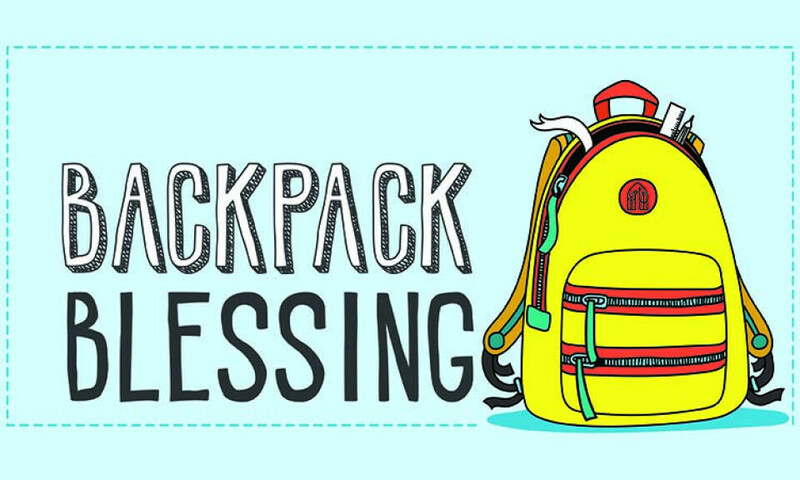 Whether you’re just beginning preschool, returning for another year, or returning as an employee, we’d love to have you involved in our backpack blessing this year! Please contact the office if you are not able to attend worship on August 26th and fall in the above categories. We would love to set aside a Bible or small gift for you!